If you often buy French wine online or if you’re a member of our French wine subscription club, you’ve probably read wine descriptions that talk about ageing wine for a certain number of months in oak barrels. What you might not know is that these special barrels can cost up to $2000 a piece! But why are those barrels so expensive? Are oak-aged wines really that superior to unaged wines? And what difference does it make to the taste of the wine? Can you really tell the difference?! Read on to discover our expert answers to these very important questions. Why do those barrels cost so much? First off, our lovely wine club members, it’s worth knowing that there are two main types of oak barrels; American oak and French oak. This part is pretty simple. American oak barrels are made from trees grown in the United States, while French oak barrels are made from trees grown in France. 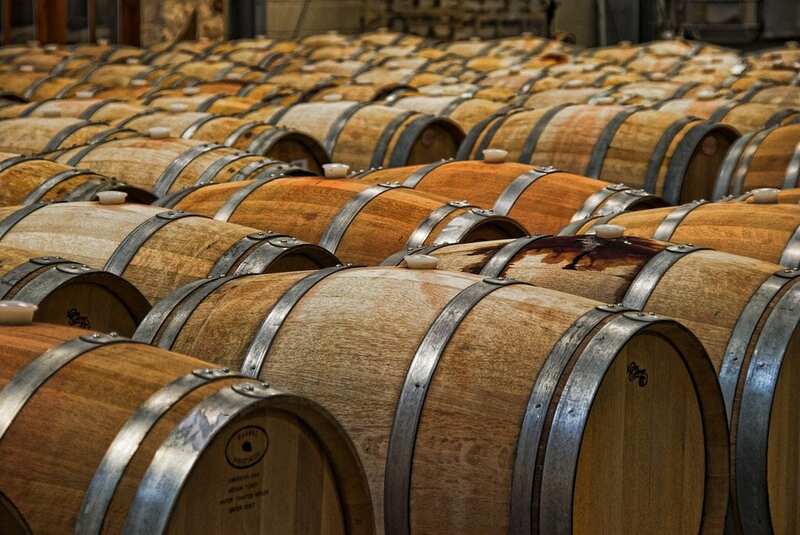 Generally speaking, the most expensive barrels (in the $500 to $2,000 or even $3,000 range) are made with French oak, while American oak barrels can be picked up for a cool $200 – $300 if you know where to look. So what dictates the price of a barrel? Well, French coopers (a fancy term for barrel makers) enjoy a great reputation all over the world for first class craftsmanship which pushes prices up. Over in France barrels made with wood from certain regions can also command a premium, like the oaks from the Berce, Loches, and Troncais forests which grow very slowly and produce staves with a very fine grain which is highly sought after by winemakers. On the other hand, American oak barrels tend to be cheaper because demand is lower and also because American lumberjacks can saw those staves instead of splitting them by hand as the wood is denser. How does oak ageing change the taste of a wine? Now, the other big difference between American and French oak barrels is the effect they have on the wine aged inside them. It’s a bit like choosing between salt or pepper to season your meal. French oak helps to create a more “elegant” wine, adding subtle hints of vanilla, pepper and cinnamon. American oak tends to add stronger flavours to the wine like vanilla, coconut and toast. As well as this key difference, the taste of the finished oaked wine will also depend on how many times the barrel has been used. With each use the barrel gives less and less flavour to the wine, creating a more subtle oaky effect. 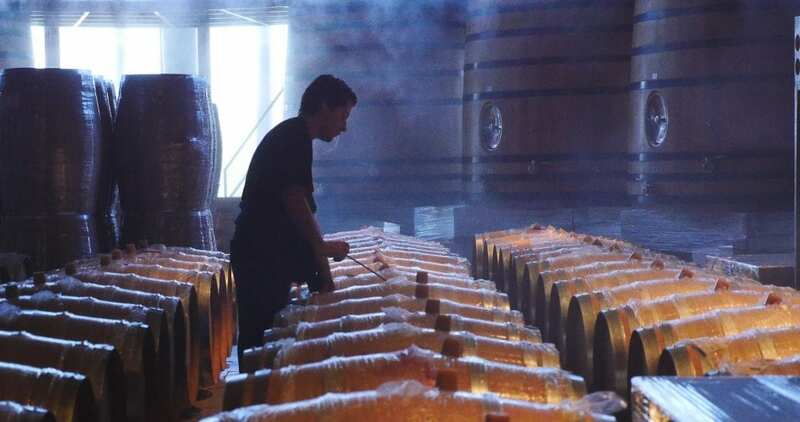 Most French winemakers use newer barrels for their top wines and older barrels for their other wines, although this depends on the style of wine they plan to create. Oak barrels are also often toasted (or charred inside by the cooper) when they’re being made to add extra complexity and flavours to the finished wines. 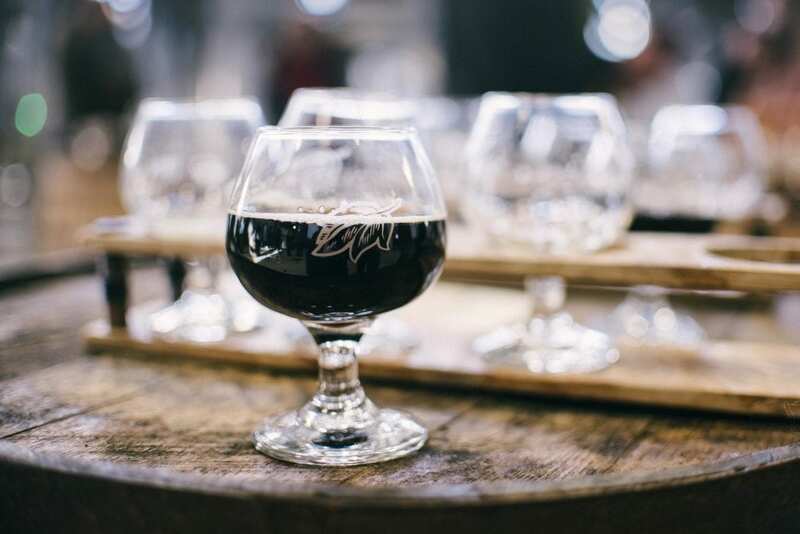 A heavily toasted barrel will give more smoky, tobacco hints, while a medium-toasted barrel will give lighter hints of smoke and more vanilla or spiced character. How long should wine be aged in oak? This is a tricky question as it all depends on the type of wine you want to create. If you want to create a big, bold red wine, like a robust Chateauneuf-du-Pape, you’ll probably want to age it in a first or second use barrel for at least 12 months to allow the flavours to fully integrate and to add a dash of “seasoning” from the oak. Ageing a wine for one or two years in the barrel is also a great way to soften the tannins in a bold wine which can be very drying on the palate and make the wine difficult to drink young. If you want to make a lighter, fresher wine like an easy-drinking red Burgundy where you want the character of the Pinot Noir to shine through, it’s best to go easy on the oak. In this case you can either use older barrels on their third or fourth use, use larger barrels like those in the photo above, or age for a shorter length of time like 6 months. Another option is to age the wine in a stainless steel tank or cement vat to really showcase the pure varietal character of the grape you’re using. So, are oak-aged wines superior to unoaked wines? In theory, then, a French red wine that has been aged in oak is considered more valuable than a younger, unoaked wine. 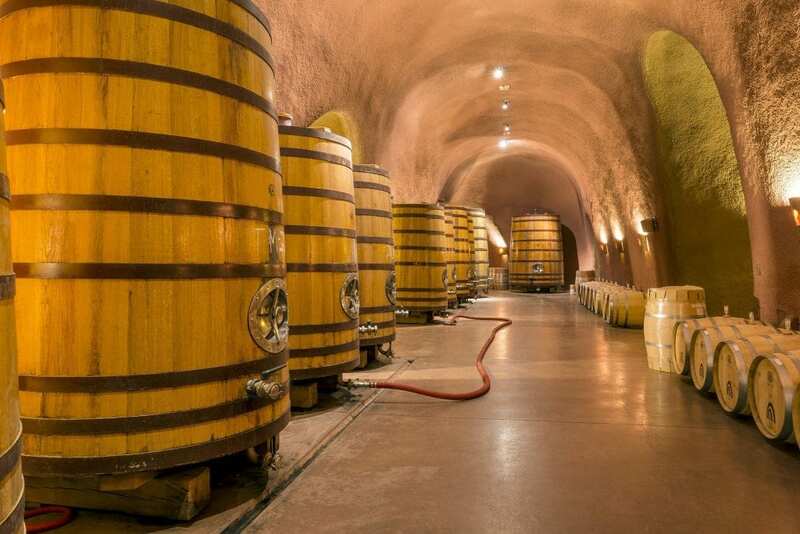 Many of the best Bordeaux, Burgundy and Rhone Valley red wines are aged in oak barrels as it can also help the wine to age gracefully in the cellar for longer. That doesn’t mean, though, that the best French wines are always oaked. In fact, many of France’s most popular white and red whites are not aged in oak like a fruity Beaujolais Nouveau, a crisp Chablis made with Chardonnay, or some easy-drinking red and white Burgundies. Has this whetted your appetite to learn more about French wine? We’re here to help! Why not check out our French wine club. Every three months we send direct to your door three or six bottles of boutique French wines which have been carefully selected by wine experts in France along with detailed information about each wine and food pairing ideas to help you really discover French wine. And as if that wasn’t enough, we also have a wine club gift option for that special wine lover in your life!